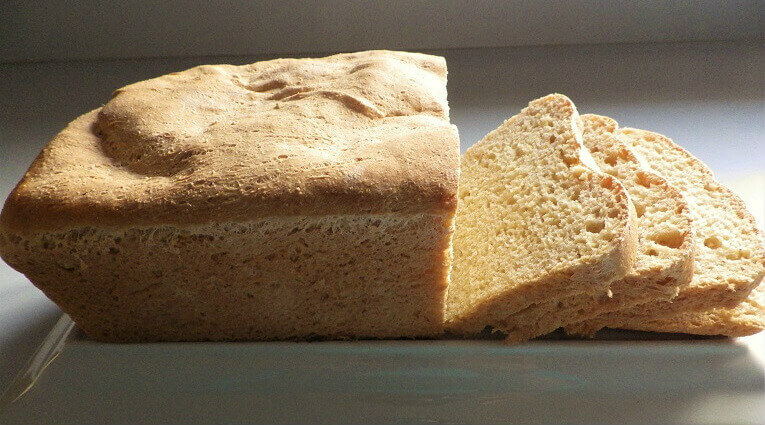 Anadama bread is essentially a white bread with the addition of a little corn meal and a strong flavor note from molasses. 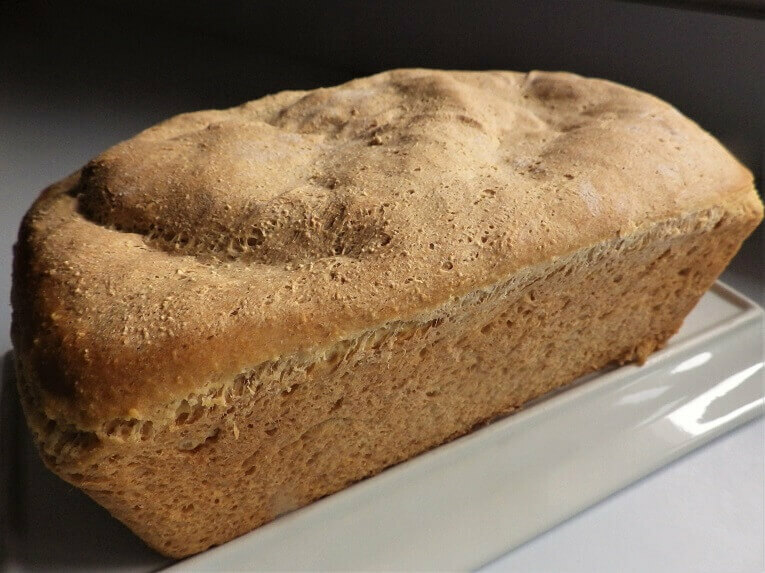 It’s a light and slightly sweet bread and goes great with any meal or on its own with a pat of butter or a smear of jelly. The folklore behind the name is a bit dubious although I’ve come across the story a couple of times. 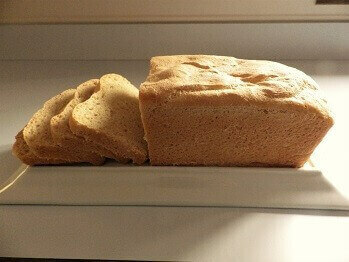 Supposedly a fisherman was dissatisfied with the bread his wife would bake. Her name was Anna. After concocting his own recipe and baking the bread he exclaimed, “Damn, Anna. My bread is better than yours.” I’m a bit incredulous about this story but it keeps showing up. 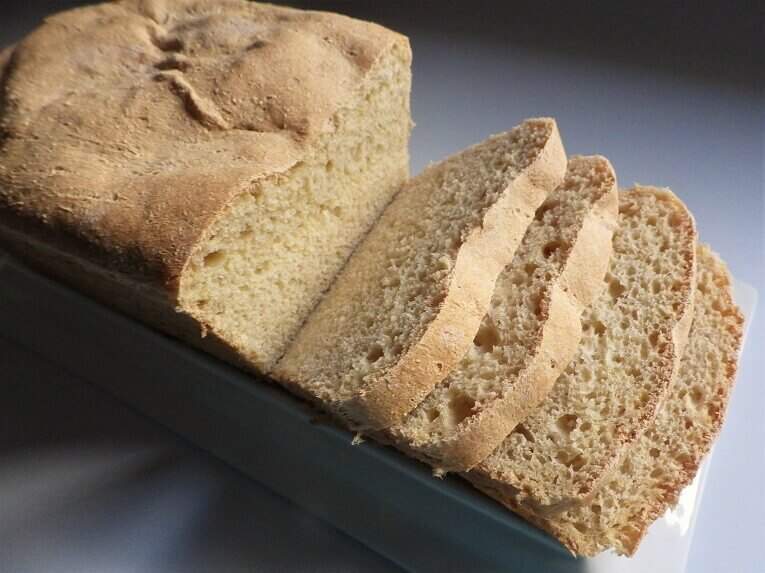 Regardless, this is a very good bread and it’s easy to make in your bread machine. Put all of the ingredients into the bread pan in the order indicated in the ingredients. Select basic white bread setting, 2-pound loaf and light crust setting. 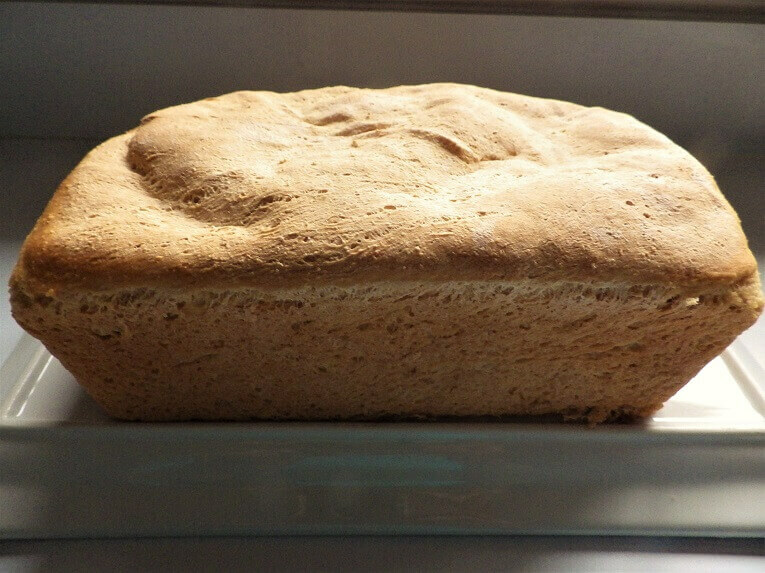 finished, let the bread rest for 10 minutes, slice and serve. I made this yesterday and it turned out to be VERY dense. It was good, but just so heavy. Any idea what I might have done wrong? I followed the recipe exactly. 1) The measurements should be very precise. 2) The water should be heated to 110 degrees Fahrenheit. The easiest way to do this is to microwave the water in a Pyrex measuring cup on high for 40 seconds. The water will be very close to 110 degrees. 3) Bread machine yeast or active dry yeast work well but both should be kept refrigerated the minute you get them home. 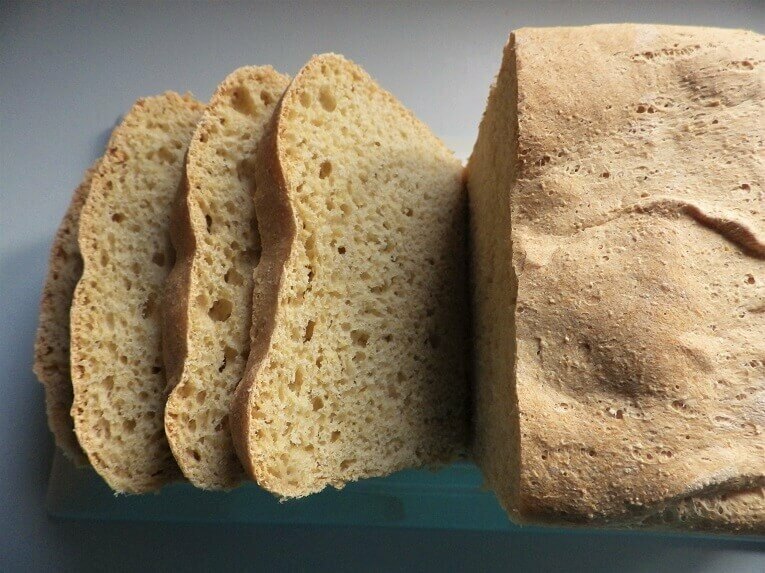 Yeast is a living organism even when dry in the jar or package and both age and temperature will affect the how well the yeast will create a rise in the dough and the finished bread. 4) Bread machine yeast delivers a better rise. 5) If all of these steps have been followed it’s possible that the bread machine is not allowing sufficient time for the rise. It’s an unfortunate fact, but bread machine settings and cycles sometimes vary. If you suspect that, omit the salt and up the yeast amount to 3 teaspoons. 6) Make sure you add the ingredients to the bread pan in the order indicated in the ingredient list. The yeast should always be added last on top of the flour. In 1979 I made a great turkey dressing using Pepperidge Farm Cornmeal Molasses Bread and Smithfield Sausage, onions and celery, and stock from the turkey parts that I wasn’t roasting.. Pepperidge Farm no longer makes cornmeal molasses bread and I haven’t been able to find Smithfield sausage, either. Late this summer, wanting to replicate that dressing for a turkey that I was planning to roast, I made my own bread machine anadama bread and combined cubes of it with McKenzies sausage, onions and celery, and Kitchen Basics turkey stock. I had already separated the breasts and the legs from the carcass (leaving the skin on), cooked these en sous vide, legs at 165 degrees for 8 hours, lowering the bath temp to 160 degrees and adding the breasts for another 4 hours. I spread these over the dressing (which was already baked), and put the whole shebang in my 500degree oven for about 15 minutes to crisp the turkey skin. It was great! I’m going to repeat this for Thanksgiving this year. 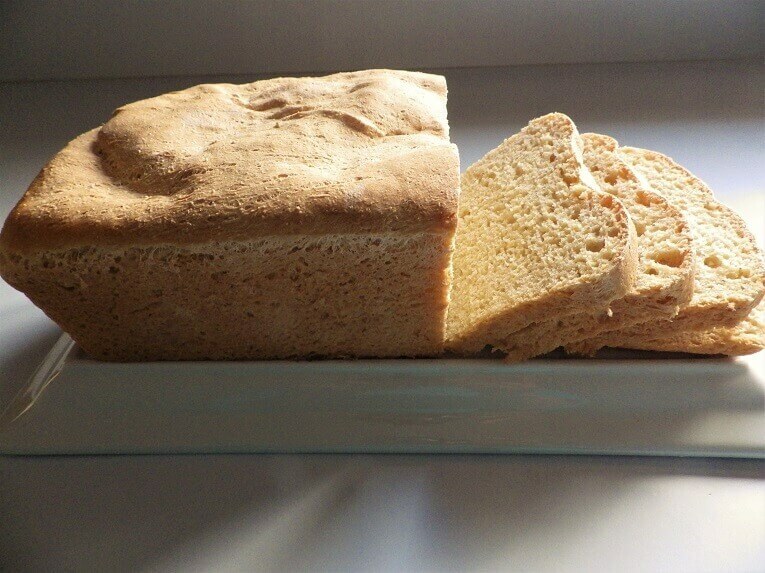 However you do your own turkey, consider using your own home made anadama bread for your stuffing. It really beats white bread.